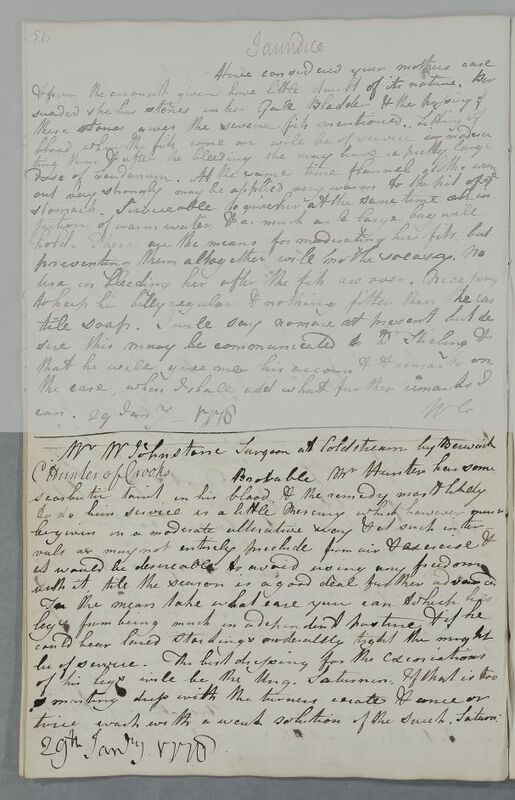 Reply to 'Mr W Johnstone Surgeon at Coldstream by Berwick', concerning 'Hunter of Crooks'. Summary Reply to 'Mr W Johnstone Surgeon at Coldstream by Berwick', concerning 'Hunter of Crooks'. Case of Mr John Hunter who is being advised over a discharge on his leg and for dropsy jointly by Cullen and Dr Monro. with it till the season is a good deal further advanced.